If you see noticeable sag on the floor, then it’s time to speak with a professional basement foundation repair company who can boost it up in a perfect manner. You can’t take any chances here because a sagging floor doesn’t mean that it is the foundation which is settling in the ground, but actually it a comprehensive issue which should be dealt with by experts. Let’s see why it is important to restore the foundation and how you can know this? which can help in identifying foundation problems. It will certainly look depressed and you will also notice some cracks out there which may develop on the walls or on the ceiling. There are some of the signs which showcase that the foundation is shrinking. If you do not inspect it or call a professional to repair then the problem may increase and cause more damage to the property. 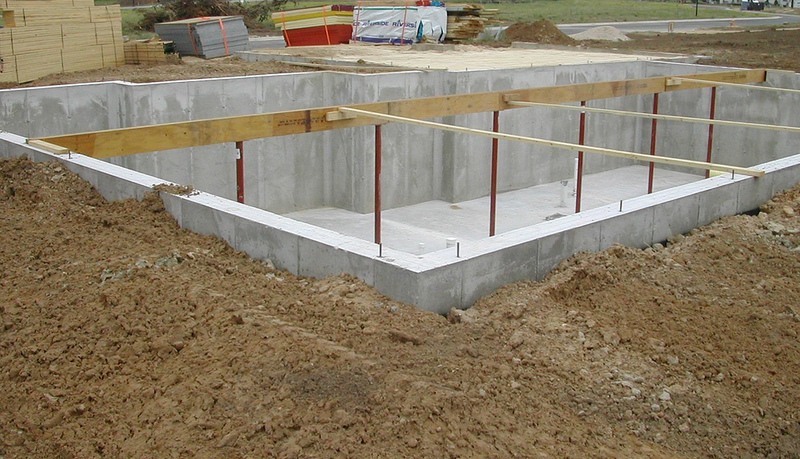 A basement foundation construction company can offer the best solution for the foundation that is shrinking and needs a lift. There are many causes which may result in shrinkage of the foundation and a very common cause is changes in the levels of moisture. When there is a lot of precipitation, the water table raises high enough to saturate the bearing strata soil. Then the soil dries and it collapses. This results in foundation shrinkage. The push pier system, helical pier system, and low tested resistance are a permanent solution for such issues. Push pier system: Push pier systems are placed with the help of a galvanized steel bracket. It is placed underneath the foundation footing and then the use of hydraulic RAM is made. It helps to drive the steel piles below the structure until they reach the load bearing strata. To stabilize the affected area appropriately additional piers are used. Once the piers are installed, hydraulic jacks are placed on each pier so the structure can be lifted in a uniform manner. Once the structure is lifted, jacks are removed and this is how the piers stay in the place permanently. Helical pier system: It is installed with the help of steel piles to the load bearing strata. The steel is driven till the time it reaches the torque levels in an effective way so they can bear the weight of the structure. It is a terrific solution for new construction because the structure weight is not used to drive the piles. It is more effective as piers can be placed before the concrete foundations are poured and once the piers are installed, the use of hydraulic jacks can be made to lift the structure. Thus, the piers are fixed at one place permanently. All settled areas will now stabilize properly. It is important because the weight of the structure can cause more damage to the foundation. Pier spacing should be 5 to 7 feet apart and this depends on the footing strength. The two methods explained above are perfect solutions for the stabilization of the foundation. If you are facing problems with a sinking foundation and have no clue how to stabilize the foundation structure then hire basement waterproofing company, Ohio without any delay. They will do a thorough inspection of the property. A reputed waterproofing company will help to restore the foundation and it will also improve the property price.